The third part of the series takes a deeper look at the problematic manner in which the social impact assessment is being carried out in the villages. May 10, 2019: The 119-year old Land Acquisition Act of 1894 did not have a clause that looked out for the resettlement and rehabilitation of the people displaced by land acquisition; this was replaced a new Act. "The Right to Fair Compensation and Transparency in Land Acquisition, Rehabilitation and Resettlement Bill (RFCT-LARR), 2013 has received the assent of the President of India," said a press release by the law ministry. This new piece of legislation, also known as the LARR Act 2013, is supposed to ensure that no land is acquired forcibly and that every landowner receives fair compensation. 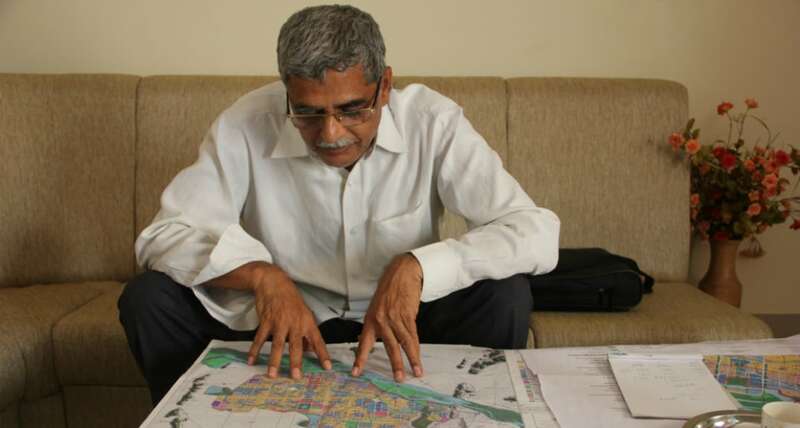 The 'unruly' villages, within the Andhra Pradesh Capital Region Development Authority (CRDA) area that have not given away their lands in the pooling scheme set up by the government, will now have to go through the procedures of land acquisition. According to the LARR Act 2013, a Social Impact Assessment (SIA) must be conducted primarily in order to decide on the compensation and other aspects of rehabilitation of the people whose lands would be acquired. This aspect of the legislation ensures that the assessment has well defined steps and procedures. Concerned villagers, social activists and local legal practitioners from the region claim that these procedures are being overlooked. For example, the LARR Act 2013 requires the consent of at least 70 percent of the affected population for public private partnership (PPP) projects and 80 percent for private companies, for the acquisition procedures to be brought into effect. If the first step of the SIA is not valid, how can the remaining steps of the procedure follow and still be legal? Gandhi describes the last SIA meeting which took place in Lingayapalem on 28 March, 2017 and said that those who attended on did not sign off, "Nobody signed the proceedings. It should be definitely conducted again. But they (the government) will create their own records and make some other people sign. The social impact assessments that are taking place are all faulty," he claims. “We have raised our objections about the way the social impact assessment is being done. The SIA is the first step before land acquisition can happen,” says Nirmalatha. On 20 March, when the villagers were in the fields, information about an SIA meeting was sent over SMS at 9.34 am and the meeting was held at 11 am. “How do you expect the villagers, many of whom don’t carry smart phones or can read English, to attend the meeting?” she lashes out. According to Nirmalatha, the message also said that verbal objections would not be counted and that everyone would have to give written objections against the acquisition — "So how do the officials expect the villagers to achieve all that in one and a half hours?" Nirmalatha also raises an issue about the venues where these meetings are held. 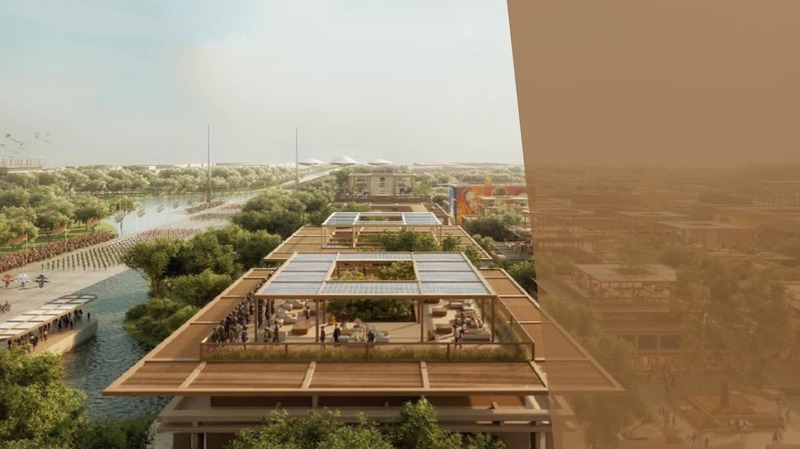 Instead of being held within the village where villagers can easily commute to the venue, the meetings are being held at the Undavalli Centre, which is near the CRDA office. "This is for the convenience of the officers," she alleges and also says that the SIA is being conducted by a CRDA official. "A CRDA official is not the designated person for holding such meetings. Finally, the objective for holding the meeting was also not communicated to us in advance, which is an imporant criteria," she explains. In December, in the first SIA meeting, the village Panchayat clearly resolved and informed the CRDA authorities that the village is not ready to participate in the land pooling scheme. "But when they came for the second meeting, they placed advertisements for land pooling and not land acquisition," she adds. The Act clearly says that when there is a SIA meeting, the villagers should be adequately educated about it. "There was a violation at almost every level. We raised multiple objections; there was unrest in the villages and villagers were greatly opposed to it. Finally they (CRDA) said they will send another notice and hold the meeting again. That has not happened.” Over and above that, Nirmalatha continues, “Suddenly they call an expert committee meeting near the CRDA office again. See, unless the first step is complied, they can’t go to the second step. And the expert committee meeting is the last step in the SIA procedure where after the entire impact study is made, the expert committee checks whether the study was conducted in the right manner or not and resolves any issues. So, even though the first step has not been completed, the expert committee meeting took place. We stated that the expert committee meeting should happen in the village, even that was not done." 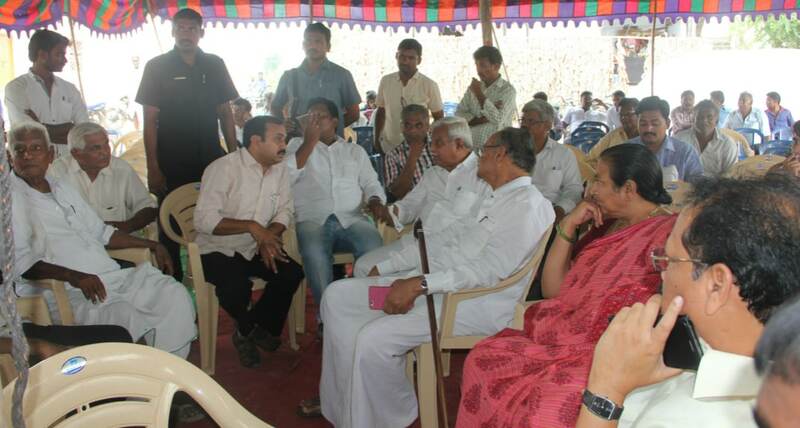 G Kanna Rao Naidu, a physician from Undavalli who witnessed all these SIA meetings concurs with Nirmalatha. "The officers kept changing over the meetings. The officers who attended the last meeting did not show up in the next. How would the new officials know what happened in the last meeting?" he asks. Finally, after numerous disruptions, the SIA meeting was adjourned. Rao Naidu also argues that before conducting the expert committee meetings, what about CRDA’s justification on clause 4-(4)-d and 4-(4)-e of RFCT-LARR Act 2013 on SIA, which mandates the entity about to acquire our lands to show ‘whether the land proposed to be acquired is the absolute bare minimum extent needed for the capital city’ and ‘whether land acquisition at an alternate place has been considered and found as not feasible’. Isn't this crucial, especially when the landowners and the village panchayat is unwilling to part with land? He informs that he has already raised objections around these points with the CRDA officials and members of the expert committee. The officers kept changing over the meetings. The officers who attended the last meeting didn’t show up for the next. How would the new officials know what happened in the last meeting? Varying versions of the above are repeating in Lingayapalem, Rayapudi, Undavalli, and Penumaka – the villages defying land pooling. 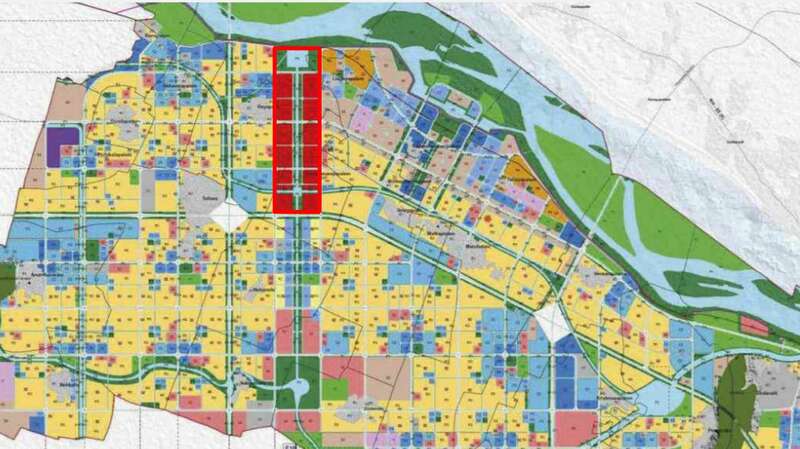 Meanwhile, a couple of weeks ago, the Andhra Pradesh High Court issued a stay order on the government’s efforts to forcefully conduct land acquisition in Penumaka. It clearly laid down that the provisions of the LARR Act 2013 should be adequately followed and objections raised by farmers should be recorded. This, after 251 farmers from the village had filed petitions challenging the land acquisition notification that was issued on 11 April, 2017.